What are the post installation steps after I have installed the Central Instance and Database instance? 2. Ensure that no errors are reported. Otherwise, take the necessary steps to correct the problems. 3. Highlight the first job in the list and press the ctrl + f11 to change the job. 4. Examine the Exec Target field. 5. Repeat Steps 3 and 4 for each additonal job listed. 1. Logon on to client 000 of the newly refreshed system with DDIC. 2. Press the Post-installation Processing button. 4. When prompted *for* the Source System of Database Copy?, make sure that the of the production system is selected. Press the checkmark button to continue. 1. Logon on to client 000 of the newly refreshed system. 2. The information on *this* screen is automatically filled out from information provided during the SAP installation and should be correct. If it correct, then enter a description *for* the system and press +S to save. Otherwise, press the Other configuration button and manually configure. 5. Press the Yes button when prompted *if* you want copy the transport routes from the controller. 1. Logon on to the production client of the newly refreshed system. 2. Press to go to the *import* Overview. 4. From the Extras menu select Other Requests, then Add. 5. In the Transp. Request box, enter the transport number containing the printer definitions that was exported. Press to save. 6. Select the transport that was just added to the queue and press + to start the import. 7. In the Target client box, enter the productive client of the newly created system. Press to save. 8. Press the button to start the transport. 2. When warned that the table is cross-client, press the checkmark button. 5. Press +S to save. 1. Press the System Change Option button. 2. Double click on the of the newly refreshed system. 4. Locate the transport in the list containing the user exports done before the start of the refresh. If the transport is NOT in the list, then from the Extras menu, select Other requests then Add. Enter the transport number and press . Then press the Yes button to add the transport. 5. Highlight the transport and press the Import request icon . 3. Schedule the job to run in the background. Do NOT schedule it to run immediately. We need to modify the job before it can be released. 4. Press +S to save. 2. Highlight the job that was created by SCC7 and press + to modify the job. 3. Press the Step button. 4. Select the RSCLXCOP line and press ++ to modify that step. 5. In the User box, enter the background user *for* that particular system (i.e BGDUSER, SAPBATCH, BATCHSAP). 7. Press to go back to the main job screen. 8. Press the Start condition button. 9. Press the Immediate button. 11. Press +S again to save all the changes to the job. 13. Continue to press every once in a *while* to update the status of the job. Do not *continue* until the job is completed sucessfully. 1. From the Utilities menu, select Import Profiles then Of Active Servers. 2. If the Display Profile Check Log screen is displayed, press to leave *this* screen. 3. Select the Profile field and press to bring up a list of profiles. 4. From the list select one of the profiles associated with the source production system. 5. From the Profile menu, select Delete, then All versions, then of a profile. 7. When prompted to delete the file at the operating system level, press the No button. 2. Select Normal Operation and press the Change button. 4. If all the assignments are not deleted, then highlight the start time of the outstanding assignment and press the Delete Assignment button. 5. Once all the assignments are deleted, press +S to save. 6. If warned about an empty timetable, press the checkmark button and then press Yes to save the empty timetable. 7. Press to go back to the main RZ04 screen. 9. Press the Yes button to confirm the deletion. 11. Press to create a *new* operation mode. 13. Press +S to save. 16. Press to go back to the main RZ04 screen. 19. Select Normal Operation and press the Change button. 22. Press the Assign button. 23. Press to select the operation mode created above. 24. Press +S to save. 3. If ALL the outstanding update requests have a status of ERR, then it is safe to delete these requests by pressing to select all records, then selecting the Update Records menu, then Delete. 4. Press the Continue button to confirm the deletion. 2. Press + to delete all the batch input sessions. 4. Press the Yes button to start the delete. 6. Press the Delete All button. 2. When the check is complete, press the Delete All button. 2. Press the Cleanup List button. 3. Check the gateway host and gateway server to make sure it points to the appropriate NON-PRODUCTION system. 5. Press Press +S and then to save and *return* to the list of RFCs. 1. When warned to read the documentation, press the checkmark button. 2. In the Old logical system name box, press . 4. In the New logical system name, enter what that logical system name should be called on *this* newly refreshed system (i.e.WIITRN400) Note: Ignore Error/Warning about duplicate system by clicking on the check mark. 11. When job is complete, repeat steps 2 through 10 *for* any additional logical system names that need to be changed. 1. Enter V_T001B in the Table/View box. 2. Select the Generated Objects option. 3. Press the Create/Change button. 5. Change the Recording routine to no, or user, recording routine. 7. Press *if* warned that you are changing a function group that doesn't belong to you. 8. You are prompted *for* transport. Create a *new* local transport. 9. Repeat steps 1 through 8 *for* the following objects. You can specify the same transport you created above. 6. Press the Test connection button to test. If the connect is not successful, take the necessary steps to resolve the issue. 5. BSI should *return* tax calculations. If there are errors, take the necessary steps to resolve. 1. Using the print out created before the refresh, recreate the DB13 calendar. Skip *this* section of the system is a Development or Sandbox System. 3. Press +S to save. Currently, all background jobs, except *for* system standard jobs have been placed on hold (status scheduled). Are these steps to make exactly in this order?? And do I have to to really EVERY step or are these steps just suggestions? These step don't have to be in order except the ones that are dependent upon each other. It is also not necessary to do all the steps. Example: BI steps are a little bit different. Regardless, these are very good and detailed instructions. 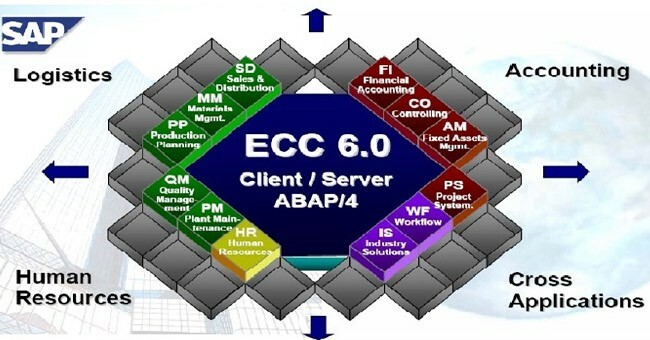 i installed SAP recently with the help of some online SAP installation documents. What steps i have to do for SAP HR? I have installed ecc 6.0, bw and bi in my system. I have created one client. when i am entering "rsa1" tcode its asking me to create logical system. But i dont know how to create. Please give me proper steps for accessing bw. Once the objects are identified the report RSTS0030 has to be executed in SE38 with the options) and that did not produce the expected results. Well, I needed to plow through this system refresh of BW (from prod) and now I am runnning BDLS without first deleting the TemSe data. Will thisbe an issue? PLEASE HELP, I am worried and concerned and stressed and all of those BAD things!.